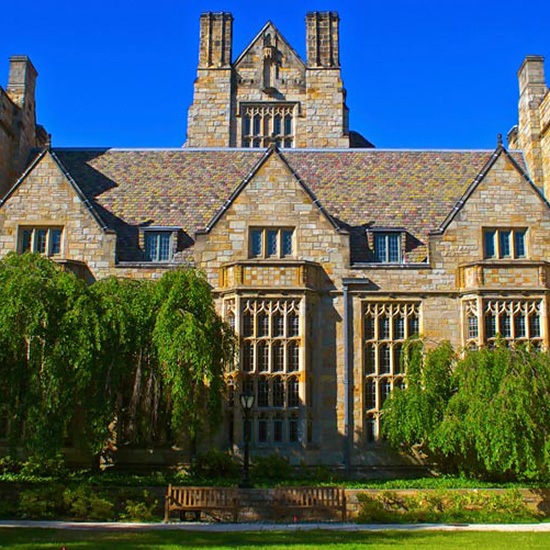 From big Ivy Leagues to teeny tiny liberal arts colleges, there’s no shortage of gorgeousness when it comes to higher education. 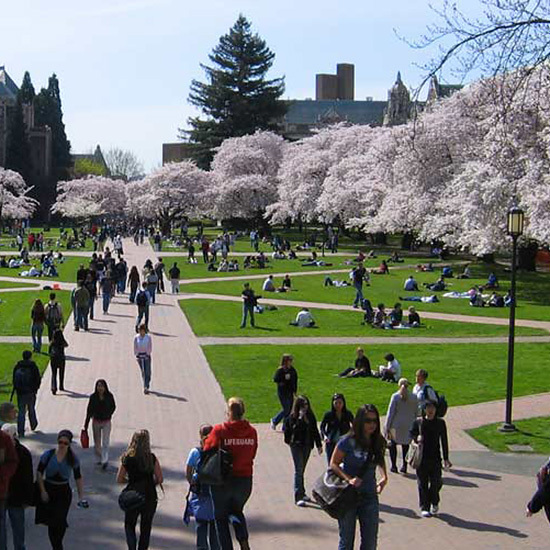 These are our 11 picks for the most beautiful academic establishments in the country. 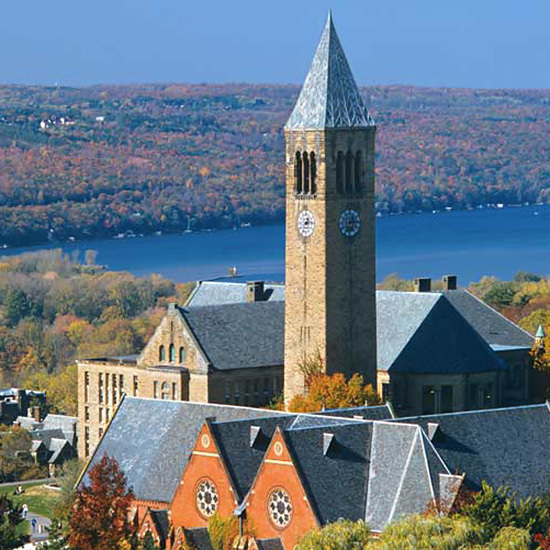 A mix of historic and modern, the quad — overlooking the Cayuga Lake area and its many gorges — features a hall designed by Rem Koolhaas and an art museum by I.M. Pei, which acts like an outdoor movie screen on summer nights. Known as “U Dub,” this city school counts the majestic Mount Rainier as its backdrop. In the springtime, 30 Yoshino cherry blossoms decorate the campus in pink. 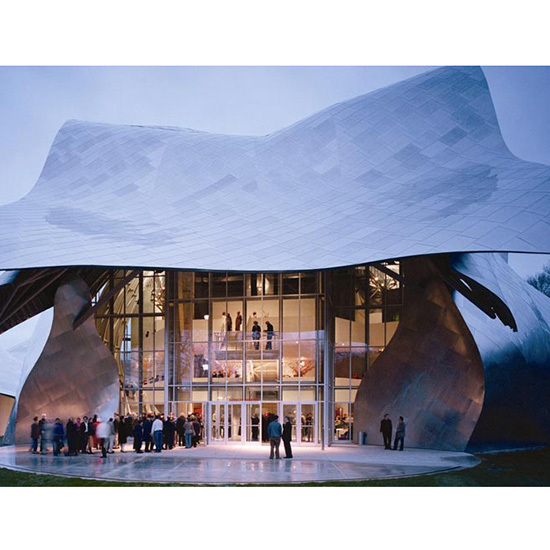 This small liberal arts campus is famous for the Frank Gehry-designed Fisher Center for the Performing Arts — a modern spectacle of undulating glass and brushed steel. 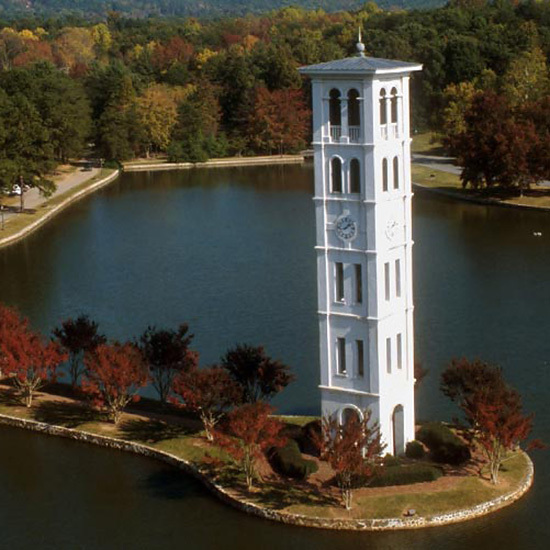 This Southern school’s landmark Bell Tower overlooks the campus lake. There’s also a former Buddhist temple and a replica of Henry David Thoreau’s home. 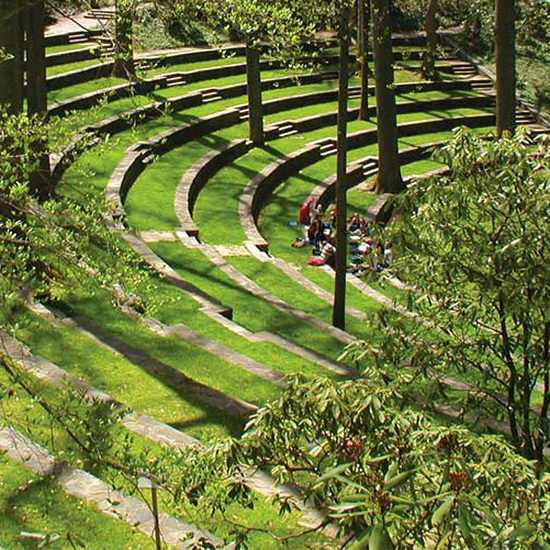 Well known for its Scott Arboretum outdoor amphitheater, this university with Quaker-inspired ethics emphasizes sustainability and has three green roofs on campus. 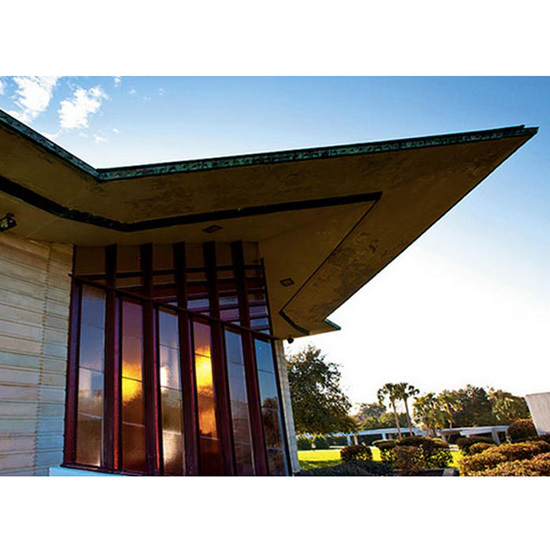 Here’s a great piece of trivia — this relatively unknown university has the largest collection of Frank Lloyd Wright buildings in the country. Frequently referred to as an outdoor museum, the campus is one of the best examples of American architecture over the last 100 years — from Georgian-style brick to buildings by Eero Saarinen to an upcoming project by Norman Foster (the guy behind Apple’s spaceship campus). 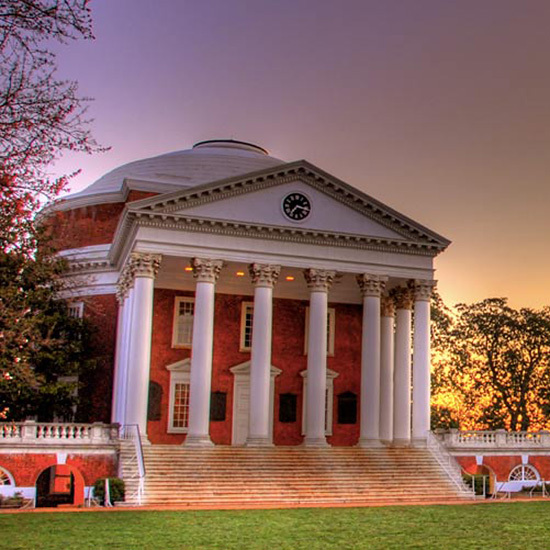 This grandiose Jeffersonian village is the only college in the U.S. to be named a UNESCO World Heritage Site. 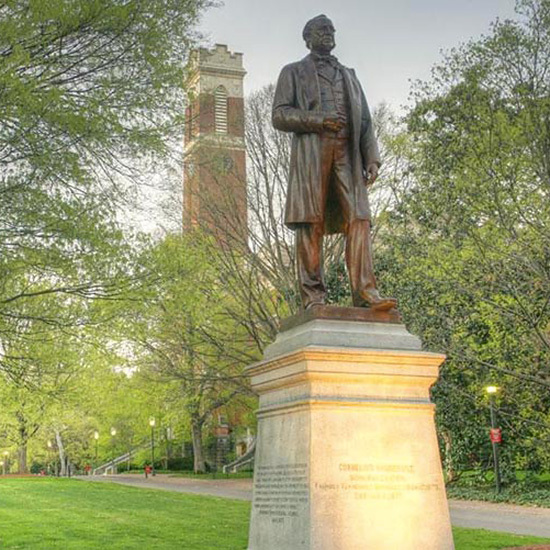 For good luck, students are urged to kiss the statue of school founder Cornelius Vanderbilt their first night on campus. 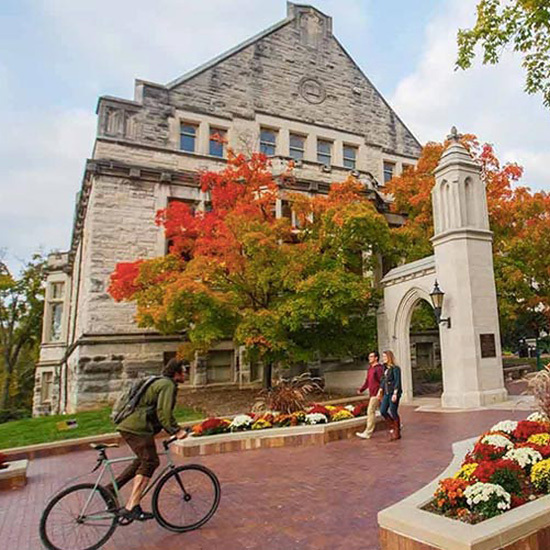 IU’s colorful flagship campus is planted with 80 varieties of trees. 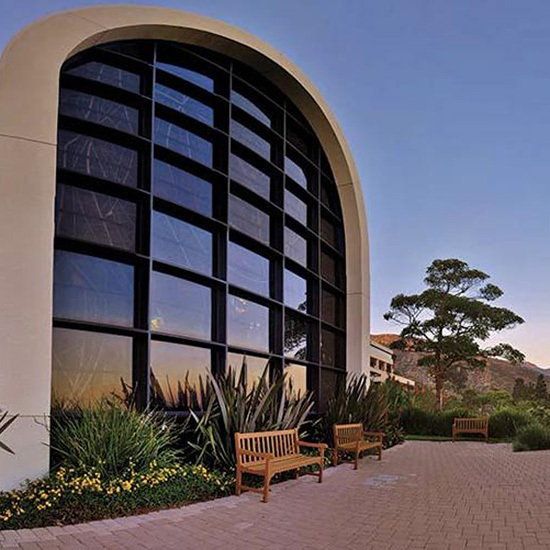 Sometimes referred to as heaven’s gate, this sprawling campus is perched on the bluffs high above California’s rugged coastline. It’s a wonder how anyone gets any work done here.